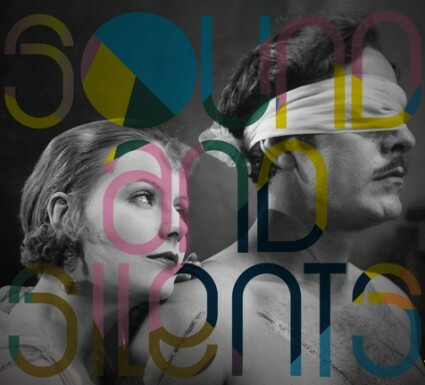 Sounds and Silents is an off-shoot of the annual Bird’s Eye View festival of women filmmakers. The strand brings together classic silent films starring iconic actresses and innovative musical accompaniment by female artists. Narcissistic Elena (Greta Garbo) drives every man she meets to despair. One of her victims, Manuel Robledo tries to escape, but this time Elena is in love and she follows him from Paris to his native Argentina. Natalie Clein’s exceptional musicality has earned her a number of prestigious prizes including the Classical Brit Award for Young British Performer of 2005, the Ingrid zu Solms Cultur Preis at the 2003 Kronberg Academie, and the BBC Young Musician of the Year aged just 16. Maggie (Mary Pickford) falls in love with Joe, her new colleague in the stock room, unaware that he is the son of the department store owner working undercover to prove his business skills. The Elysian Quartet is one of the UK’s most innovative young ensembles. They have worked with artists as diverse as virtuoso beat-boxer Killa Kela, jazz pianist Keith Tippett, and experimental electronic composer Simon Fisher-Turner. – Ossi’s father hires a guardian to educate his rebellious daughter. Escaping from house arrest dressed as a man, Ossi begins to investigate whether life is more liberated this way. – When vampish Helene (Gloria Swanson) uses her charms on Bobbie, Gloria breaks up the pair by disguising herself as a man to seduce Helene. – Zoe Rahman has firmly established herself as one of the brightest stars on the contemporary jazz scene. Zoe has recorded four critially acclaimed albums, her second ‘Melting Pot’, wasnominated for the 2006 Mercury Music Award and was voted ‘Jazz Album of the Year’ at the 2006 Parliamentary Jazz Awards. – Juice is an experimental vocal trio specialising in vibrant, theatrical performances commissioned countless new works. They draw on world music, jazz, folk and pop and have been featured on BBC Radio 3 and Classic FM and Resonance FM. King’s Place (“a creative hub, a dining venue, a conference and events centre, and office complex”) is at 90 YorK Way London N1, close by King’s Cross and St Pancras stations. More details, including tickets, from the Bird’s Eye View site.